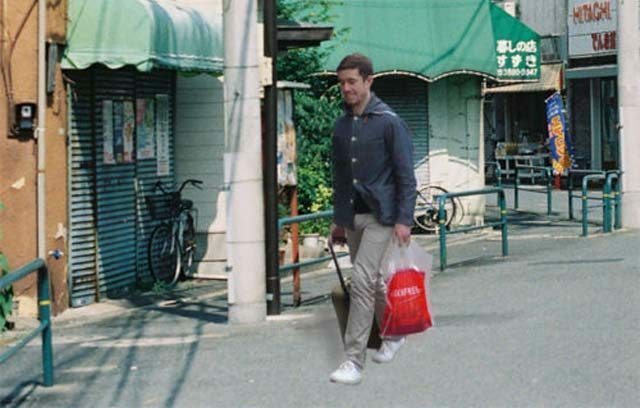 A brown haired man in his late twenties was spotted dragging a suitcase today in an outer Tokyo suburb – away from the station. The value of property in the area is currently in free fall and crime rates are expected to rise by at least 22 per cent. The incident has sent shockwaves throughout the community, with local residents fully aware of the impending doom pre-gaijin-spotting thanks to a thick plume of cologne fragrance wafting within a 150-meter radius of the man. “I’m now expecting to see at least four PET bottles a week thrown into the recycle basket with their labels still firmly attached and caps still screwed on,” said one resident. Many of the townsfolk have been commended for their calmness despite the spread of panic buying, with reports of people patiently lining up for earplugs at local drug stores in preparation for the wild late night house parties – which may occur on any day of a regular working week. There are some sections of the community, however, hoping they can now afford cheap babysitting in the form of private English lessons.